At Grand Rapids Natural Health we work with only clean, organic products that support your health from the inside and out. We offer 60 minute and 80 minute KPS Organic Facials with or without Microdermabrasion and Dermaplaning. The Slimsage treatment is designed to target stubborn areas of the body affected by cellulite and dimpling. When working out and healthy eating isn't enough, Slimsage will aid in hydration and provide a smooth appearance. A natural way to look younger! Using a microcurrent machine that stimulates the muscles, collagen and elastin in the face and neck, the face and neck become tighter. This treatment also allows the skin to achieve a wonderful glow do to increased circulation. Brighter, smoother, glowing, and more youthful skin! The purpose of Dermaplaning is to thoroughly exfoliate the skin. The service leaves skin brighter, smoother, glowing and more youthful. 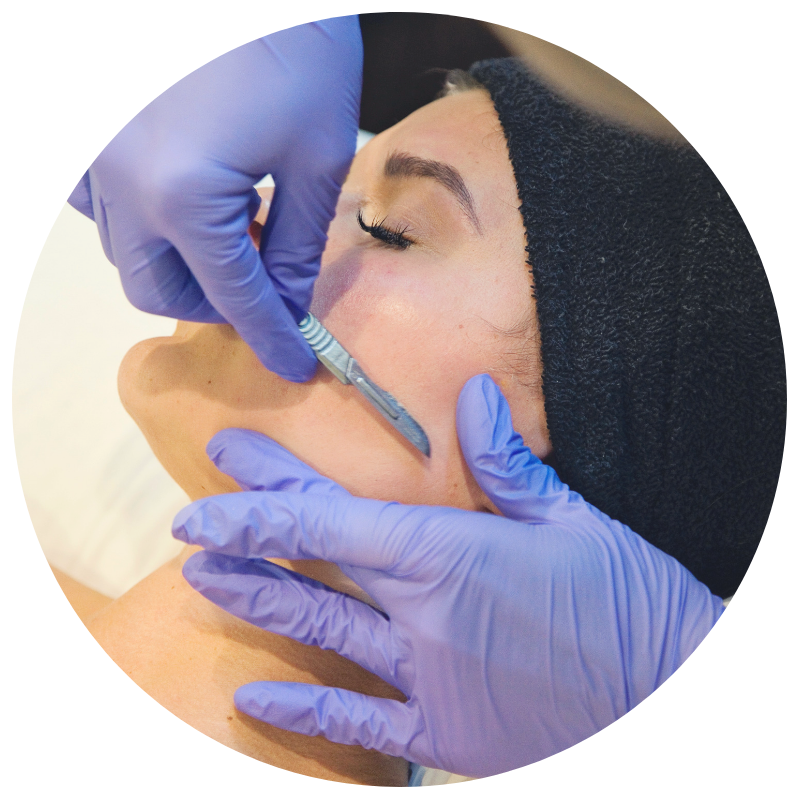 Dermaplaning is a gentle exfoliation and completely painless. Add-on to any facial service for only $40. Add-on service to any facial! Grand Rapids Natural Health is now offering Crystal-Free Diamond Microdermabrasion, a procedure that assists in cleansing and removing your top layer of dead skin cells, as an add-on to any facial service for only $20.